Rarely available sun-filled corner suite with breathtaking views of city skyline and CN Tower. 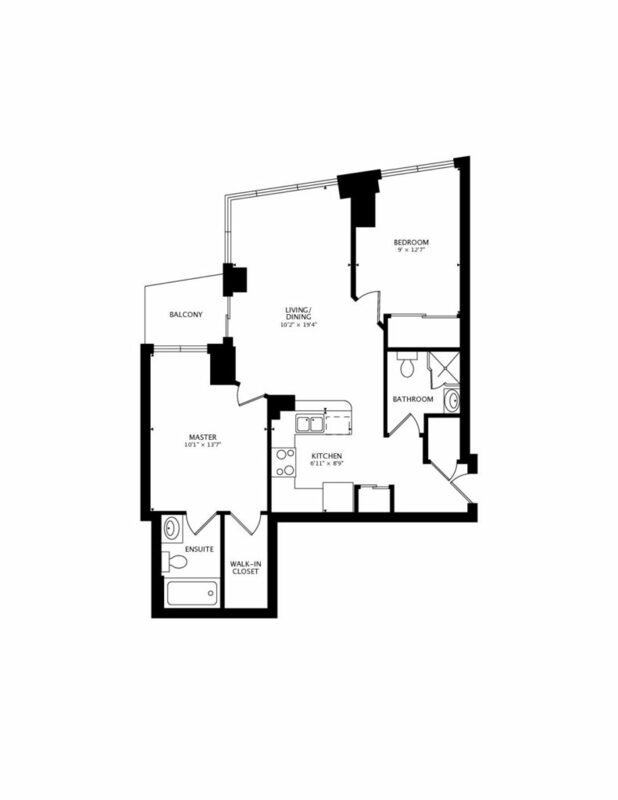 Featuring a functional split bedroom layout with open concept living/dining area and walkout to the balcony. Modern kitchen with a breakfast bar is perfect for hosting cocktail parties. Upgraded engineered wood flooring throughout. State of art building amenities. Oversized locker and parking. Steps away from revitalized Queens Quay, Financial District And Union Station. Around the corner from St. Lawrence Market. Easy access to DVP and Gardiner Expressway.